Anyone that knows me knows that I am, to put it mildly, severely overly and psychotically organized. I loves me some Container Store. I am also one of those people who’s brain does not work very well all the time so I’ve learned to write things down. Pretty much everything down. Like everything. I have written down what I am writing down right now. Scary. So it goes without saying that I love stationary. The prettier the better. So when I came across the magnificent site ErinCondren.com I just about fell off my chair. And then this came in the mail…. 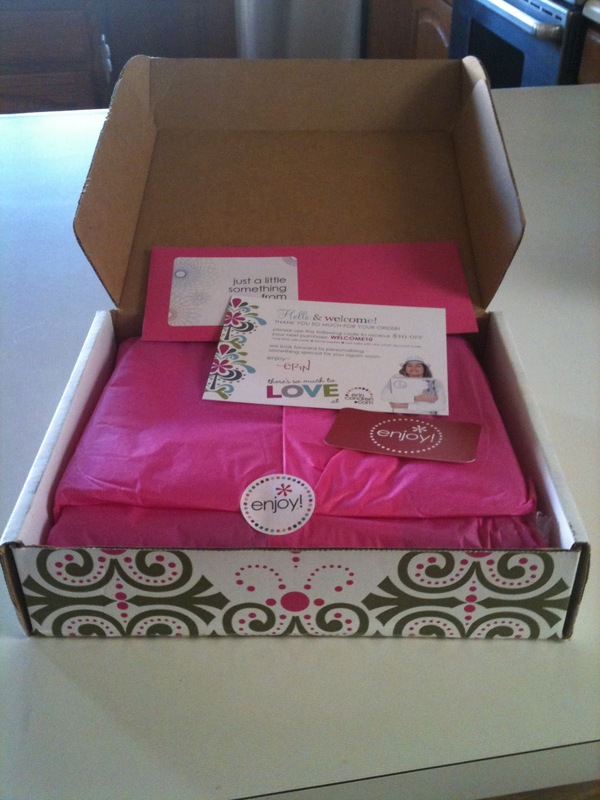 Even the frickin shipping box is super cute!! This bad boy is the 2011-2012 Life Planner…and that’s exactly what it does…plan you life. In a super cute and chic way, of course. I just love having a place for everything and everything in it’s place. Don’t you? On top of having the worlds best organizers and planners this site has basically everything else. From iPad/iPhone cases to calling cards and address labels to invitations. I’m warning you, you will want to buy everything. What’s better than finding your new favorite website? Finding a GIVEAWAY featuring your new favorite website!! Yes, ladies and gentlemen, you heard that right. 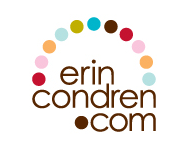 My piddly little blog is hosting it’s very first giveaway and who better to giveaway than the amazing stuff at ErinCondren.com. I want to give an extra special thanks to ErinCondren.com and all the awesome people who make up that company, as well as, Kate Franklin at Bollare PR for providing me with an On-The-Go Life Planner to review and with the $25 gift code for one lucky winner. My opinions are my own and were not swayed in any way. I just really think you guys rock. Woohoo!